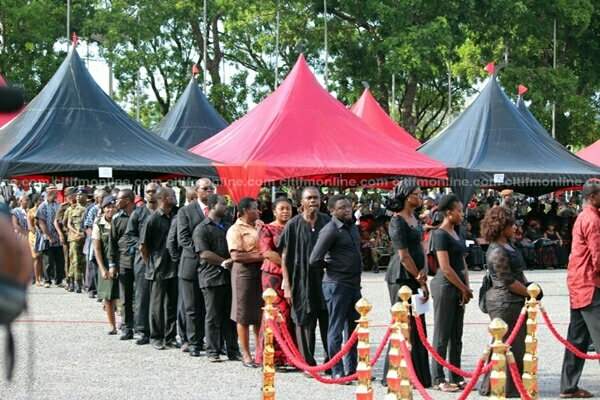 The atmosphere was quite different at the state burial for Major Maxwell Manama, the burial which took place today saw the dignitaries such as Former Ghanian president, John Manama and John Kufor, Members of the Parliament, State officials and well wishers. 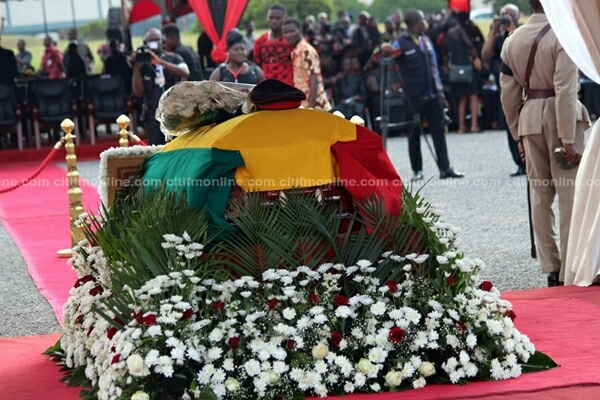 Major Mahama was earlier granted a State Funeral after his gruesome lynching by some youth of Denkyria-Obuasi in the Central Region shocked the nation. 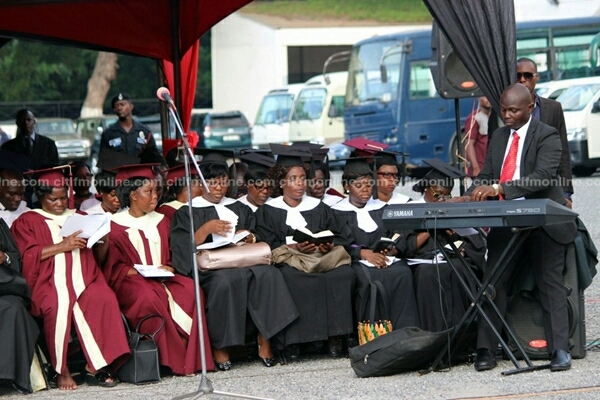 The youth mistook him for a robber. 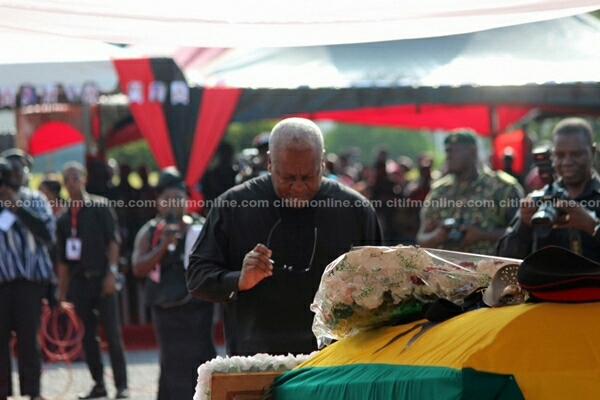 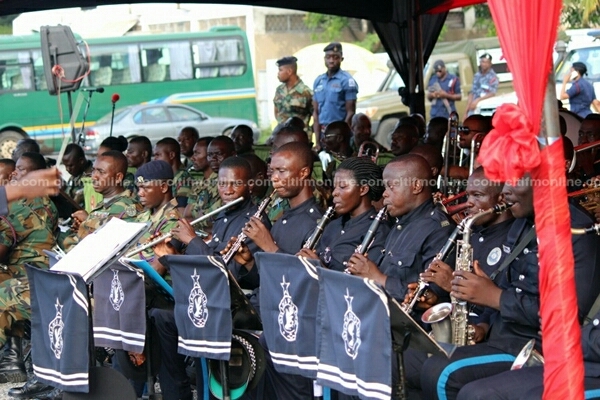 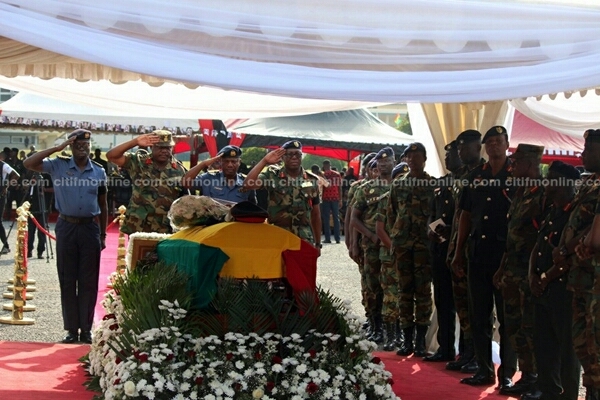 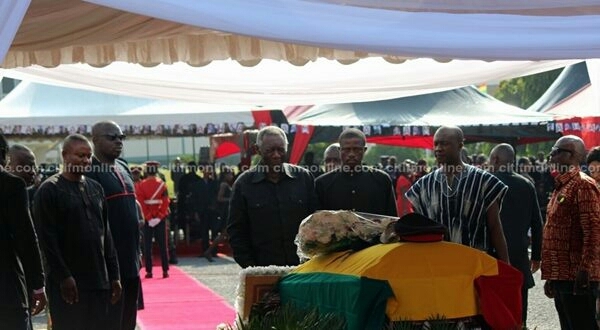 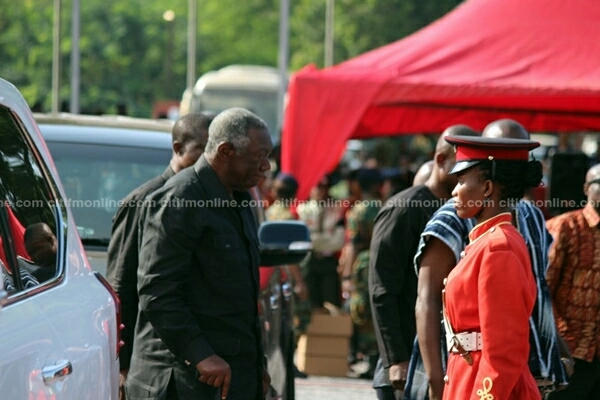 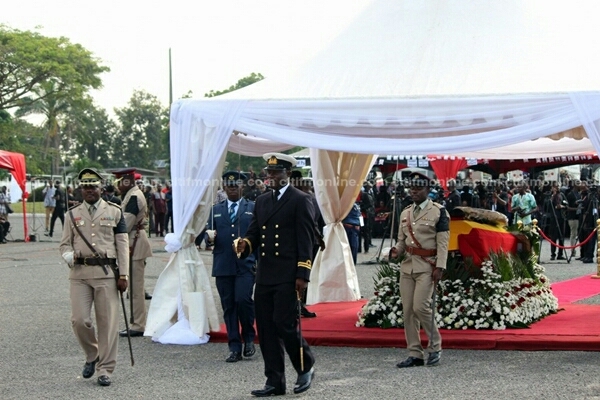 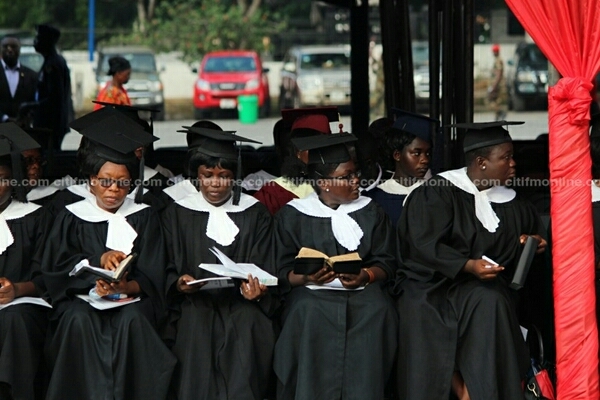 0 Comment to "Kufuor, others pay last respects to Maj. Mahama [Photos]"